How she got started: About two years ago, I was interested in designing some jewelry for myself. I had a specific vision of the type of pieces I wanted,but I didn’t see them on the market. I started sketching some ideas and decided to prototype them using 3D-printing technology. After I received such overwhelmingly positive reactions to my pieces everywhere I went, I decided to launch my own collection of 3D-printed jewelry. Her training: I have an unusual background for a jewelry designer. I am a partner in an LA-based experimental architectural firm. I have been using 3D printing for the past 10 years, mainly for architectural model making. I have always been interested in jewelry, which prompted me to design my own collection using 3D printing. 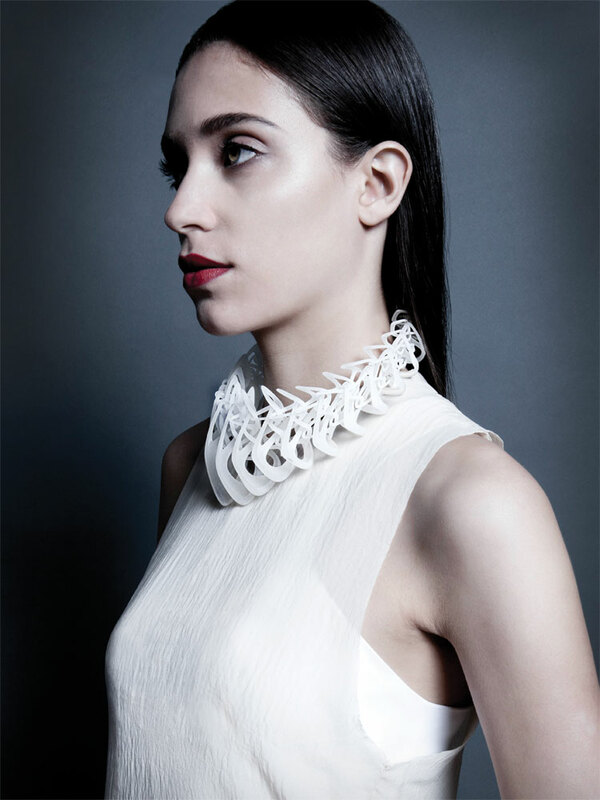 What makes her work unique: I have spent a long time researching and applying 3D printing to wearable design, from understanding the different 3D-printing technologies to the selection of materials that are appropriate. 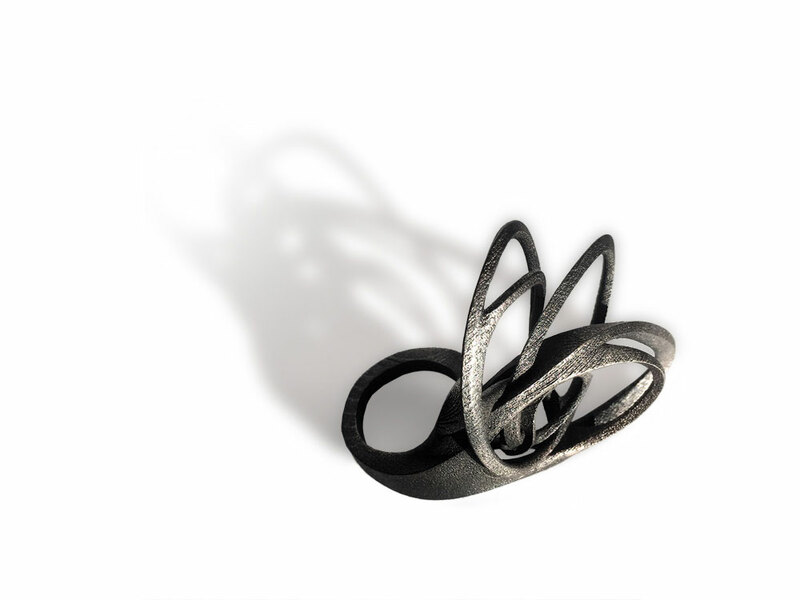 There are very few jewelry design brands that have invested so much research in 3D printing. Her biggest challenge: Material limitation is one of the challenges. I am limited by the materials that can be produced with the technology currently available; very often those materials are inappropriate for use in my products. Discerning consumers demand wearability and durability. Her biggest reward: I absolutely love seeing the reaction from people who put on my pieces for the first time.